One day orientation workshop for Award mentors was held for twenty teachers from Vidya Sanskar International School. 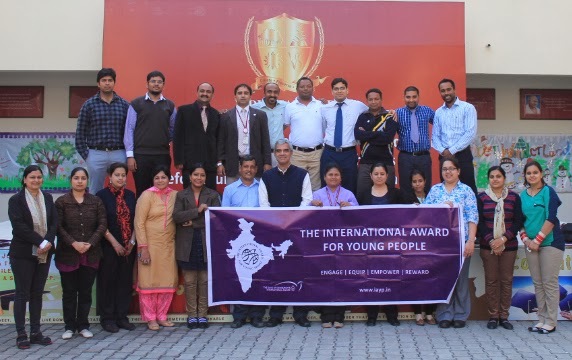 Vasudha Neel Mani, Principal, Vidya Sanskar International School welcomed National Award Authority (NAA) India National Director Kapil Bhalla by talking about the excitement among the school students who are part of The International Award for Young People (IAYP) programme and also talked about the overall development she has witnessed among the students taking IAYP programme. Mr. Bhalla also talked about the positivity that is induced into the students who are able to achieve the goals that are set by the participants themselves.